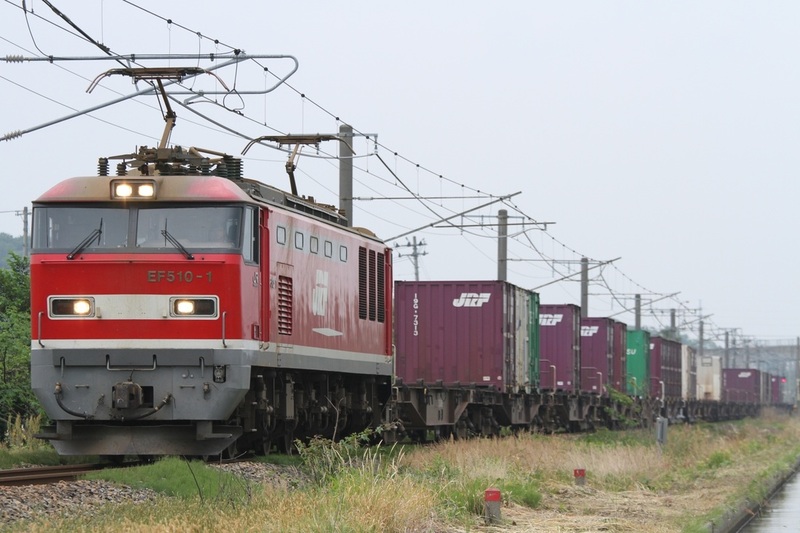 The Class EF510 is a six-axle electric locomotive developed by JRF to replace the aging Class EF81 locomotives pulling freight on the Japan Sea route and Joban Line. In the early 1990s, JRF developed two powerful new locomotives, the Class EF200 and EF500. The Class EF500 was a 6000kw AC/DC monster designed to pull freight consists of up to 1200 tons. However, this amount of power turned out to be unnecessary and put stress on transformer substations. Unlike the EF200, the EF500 never went into full scale production. The Class EF510 was developed as a more practical design based on the Class EF210, itself a toned down version of the Class EF200. VVVF control equipment used in the Class EH500 was used on the Class EF510. 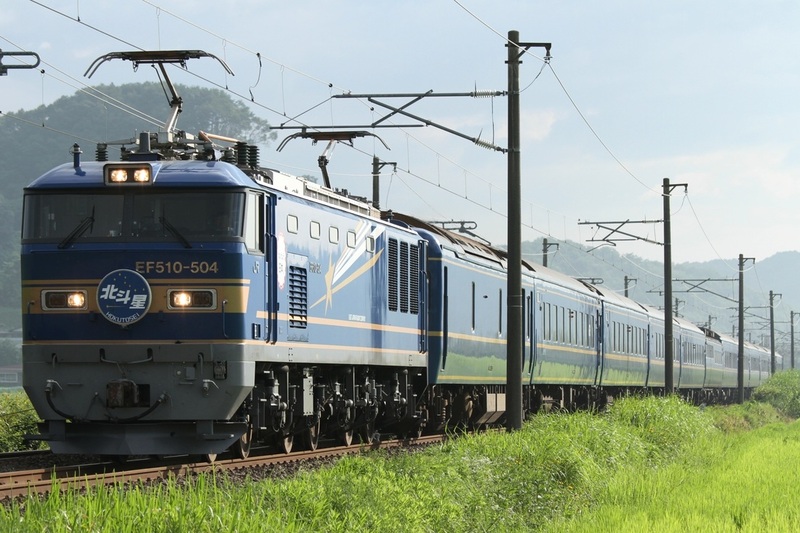 With AC(50/60khz) and DC capability, the Class EF510 can be operated on virtually any stretch of electrified track in Japan. However, the JRF locomotives are used primarily on the Japan Sea side from the Kansai region to Aomori. In 2009, JR East purchased its own stock of Class EF510 locomotives to pull its sleeper trains such as the Hokutosei and Cassiopeia. They are known as the 500 Numbers. These locomotives can be identified by their blue or silver coloring with a shooting star logo on the side.